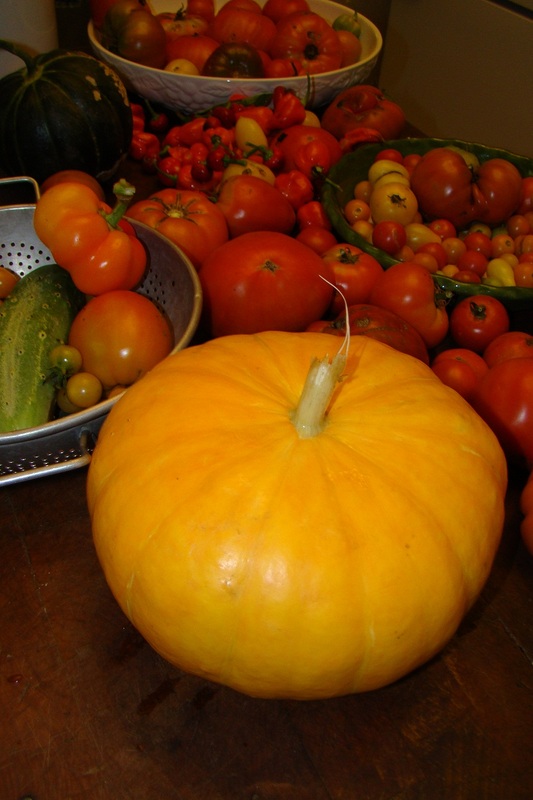 I asked a ‘real’ local farmer when to plant pumpkins this year because the one pumpkin we got last year had rotted by the time Halloween came around. I put in small, medium and large varieties and just found this little gem. Oh well. At least we’ve got the same number of pumpkins as last year so any additional ones will be a bonus. I think I’ll roast it and make soup. 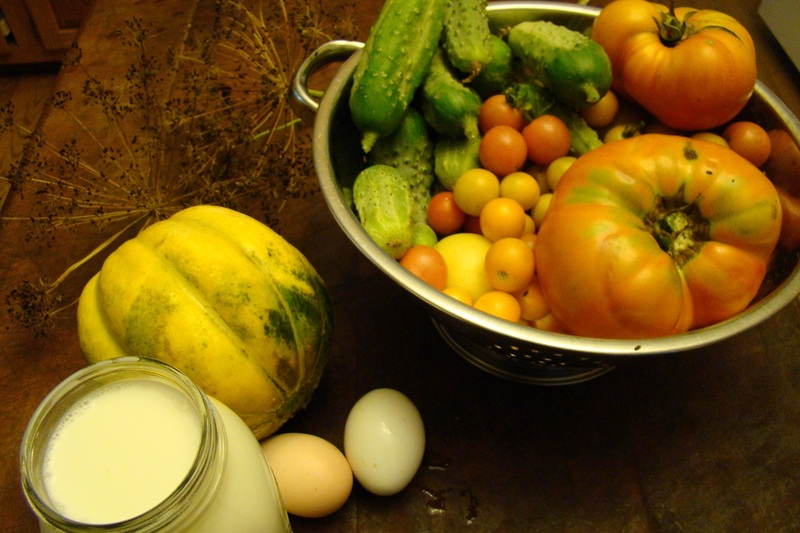 Dill heads, pickling cucumbers, tomatoes, eggs, goat milk and our first melon. We’ll get another 4-5 eggs later today and another quart of milk. I’ve been putting up pickles and tomatoes (and salsa and soybeans) like crazy and make cheese every Wednesday. Summer has a rhythm. Just nine days ago, Brian was wondering what the bathroom floor looks like under the lovely linoleum tile squares that the prior owner put down. I said, peel the edge of one up and let’s see if there’s hardwood underneath. There was, so he pulled up the rest. Despite major effort and internet searching, we could not get the sticky linoleum glue residue off of the hardwood so we ran to a home improvement store with a huge list to completely redo the bath. We assumed that the wallpaper had been attached to bare drywall because that’s how the previous homeowners/builders rolled. We were correct. After researching options and talking to a few wallpaper manufacturers, we decided to prime the wallpaper with oil based primer and then paint over it. The color is ‘nautical gray’, a nice neutral. Since we were painting over wallpaper, we opted for both crown molding and wainscoting. The flooring is a laminate. The mirror is an antique I purchased around 35 years ago. I’m still amazed this went from gutting to completion in just nine days, by us (did I mention my husband is a genius?). I still need to add the fun decorative touches. We had planned to redo the bath this year, just didn’t know it would happen this soon! 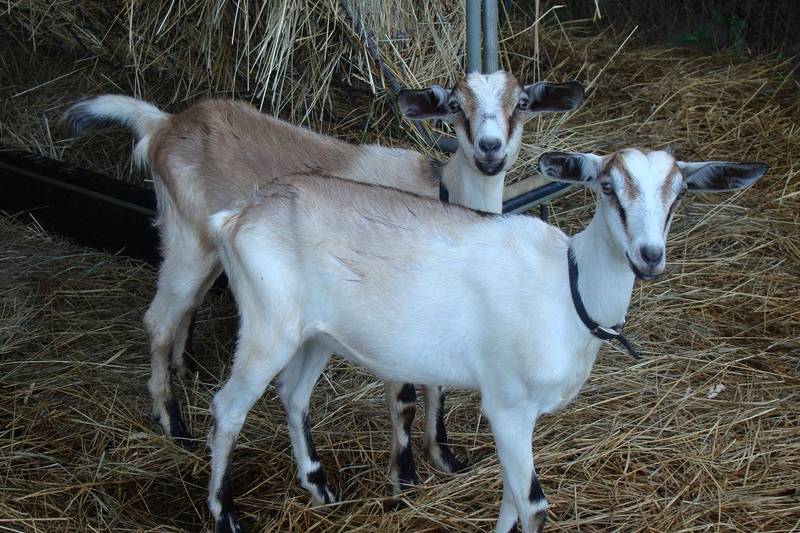 Here are Summer and Shaggydog, two of Hermione’s triplets from this year. Nymeria went to a new home a few weeks back, she’s got other goats, a giant sheep, chickens and cats to keep her company and a great pyrenees to keep her safe. They grow up so fast! 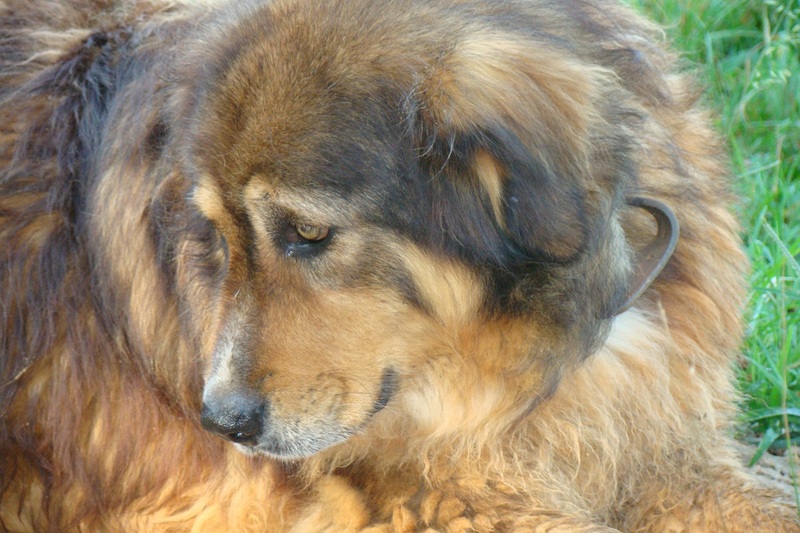 FiFi rests during the day with her brother Milos so she can watch over everyone after dark. We still can’t get a new flea collar on her. She’s 150 pounds of ‘I don’t need a new necklace, thanks’. We unfortunately lost our buck Rudy to intestinal parasites earlier this year. We just got a replacement buck. The best part? He’s Rudy’s son. 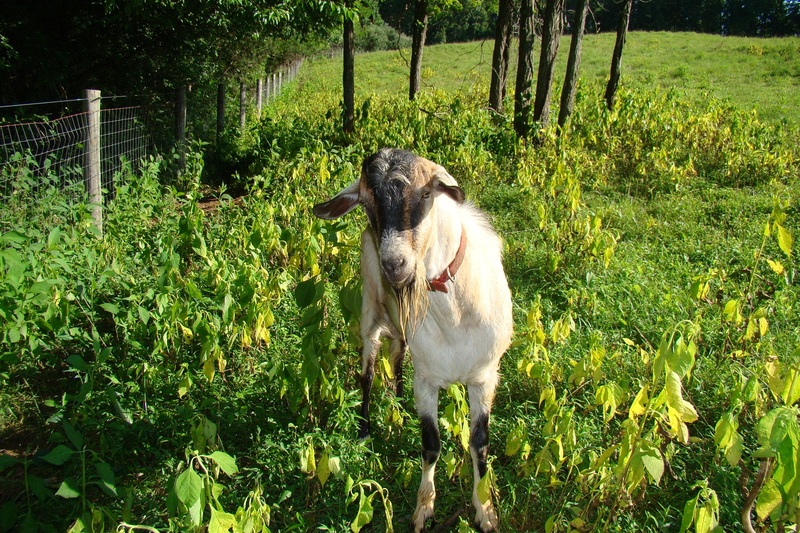 He was born here last year and then went to a friend’s farm to help them keep their kudzu problem in check. We’re calling him RJ (Rudy Jr.). He looks just like his daddy, who we miss. We’re swimming in tomatoes this year. Since I refuse to toss a single one, I’m preserving excess cherry tomatoes by roasting them. They go into a 350 degree oven with olive oil, salt and pepper for about 35 minutes. After they cool, I scoop them into a quart freezer bag and pop them into the freezer. Sometime around December, I’ll defrost them and toss them with pasta for a blast of summer.